I’m sharing a list of 27 Mashed Potato Recipes from the basics to unique recipes that will jazz up your every day dinner or holiday feast! Today, I’m sharing a recipe roundup of one of my favorite side dishes: Mashed Potatoes! There is nothing more comforting than a big bowl of creamy mashed potatoes. 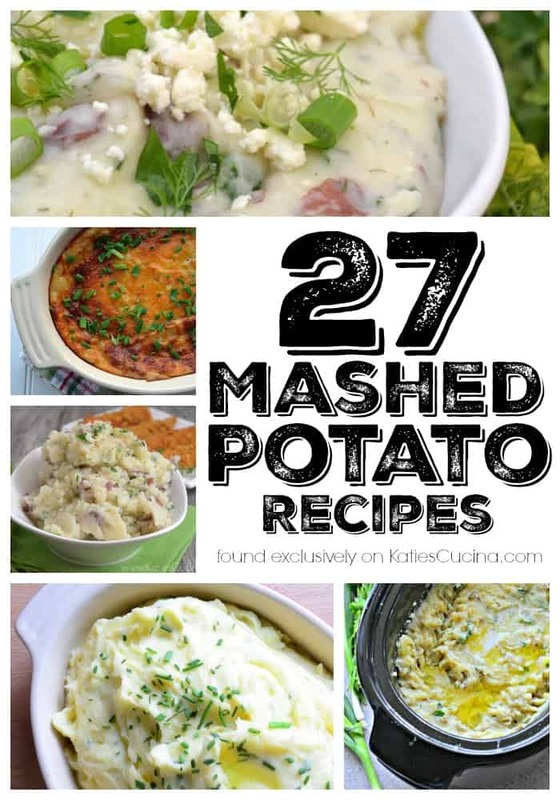 Since I love them and am always trying out new mashed potato recipes I figured I would share 27 of my favorite mashed potato recipes with my readers. I hope this list of mashed potato recipes gives you some new ideas this holiday season or any day of the week when you just want to jazz up the traditional mashed potato recipe. Or maybe you are still learning how to master the art of making creamy mashed potatoes? I have a few links below on basic mashed potato recipes!